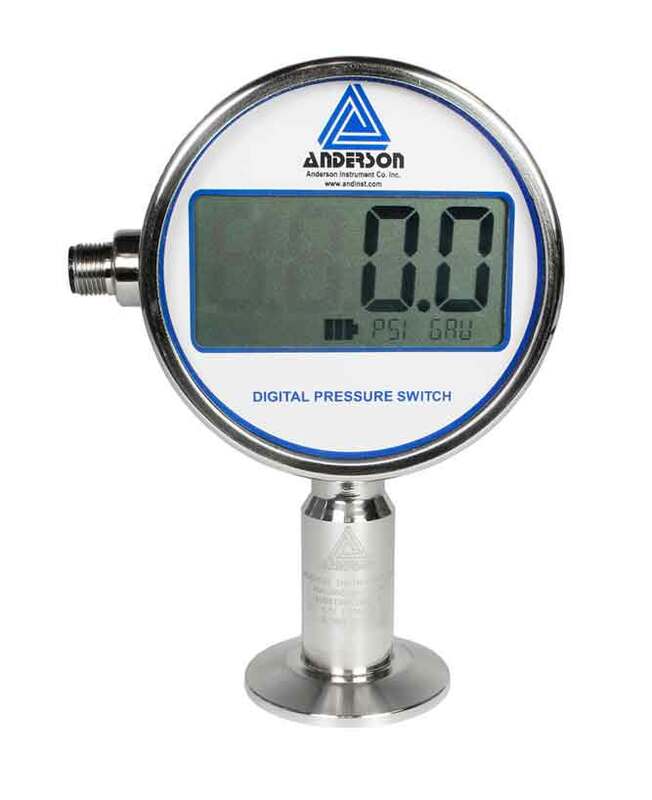 The Anderson Digital Pressure Gauge platform is designed specifically for monitoring critical pressures in sanitary Life Sciences applications. The product line was developed to address several trends relative to performance, safety, and readability criteria of our core customers. When compared to mechanical gauges these electronic units provide much better accuracy, resolution, and over-range capability, and are backed by a 2 year warranty! The switch version provides all this, PLUS 2 fully adjustable switches with low-voltage relay outputs for simple control and/or alarming.